Looking for a way to get in shape, improve your flexibility and have fun? Ballet dancing might be the activity for you. Ballet Dancing - What Is It? Ballet is a form of dancing which may tell a story, express a mood, or just reflect a piece of music. Ballet is a very graceful type of dancing, in which dancers perform many movements which are unnnatural for the body; however, when these movements are done well, they look natural. 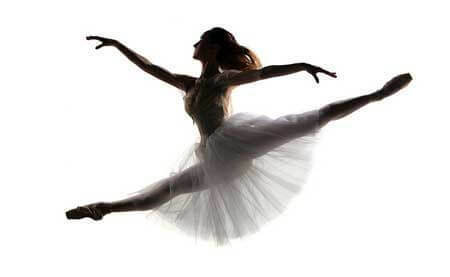 Dancers must be able to float through the air in ways that seem to defy gravity or spin on the tips of their toes. 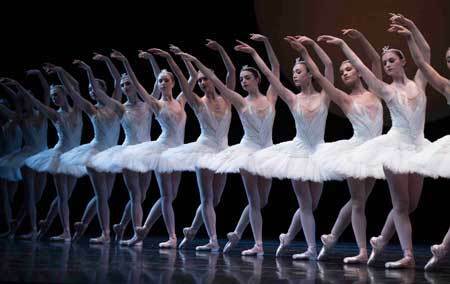 Some ballet dance steps are so quick that the audience sometimes has trouble following the movements. Ballet dancing requires flexibility, body control and a great deal of training. A good ballet dancer must be able to make stretching their leg above their head look completely natural. A ballet dancer must also have certain mental skills, like a feel for rhythm and understanding of music. Learning to perform difficult ballet moves can take years of training. The best age to start ballet lessons is when you're between 8 and ten years old. Those who wish to become professional dancers may need to practice up to six times a week. Most professional dancers practice daily in order to keep their body in top shape. If you're just looking to try ballet to improve your flexibility or have some fun, you should be fine to take lessons twice a week for a start. Ballet is an activity that help dancers improve their fitness, flexibility and body awareness - but it can also be very demanding. 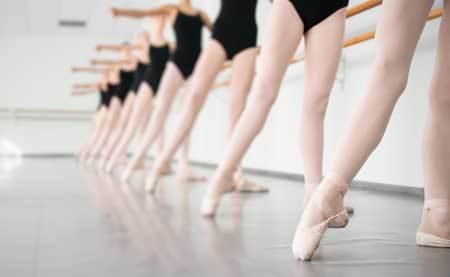 Many ballet schools require students to take several lessons each week and may not even accept students who they don't think have the right body type or other physical characteristics. You and your parents should be very careful when choosing a teacher. Poor teachers may rush students through moves which can hurt them later on. For example, a girl should not be taught to dance on her toes until her feet are strong enough. She must first have a few years of training to develop her foot and leg muscles. Good teachers go slowly - to prevent dancers from hurting themselves. Before signing up for ballet lessons, talk to the teacher about the time and financial commitments that are required. If you'd like to learn to dance, but don't want to commit alot of time and energy, you might be better off trying hip hop or jazz dancing instead. If you don't want to learn how to ballet dance, but just think the shoes they wear are cool, you can always just wear a pair of fashionable ballet flats, which are very hot this spring. Ballet Dancing - For Boys? Ballet dancing is not just an activity for girls. If you're a guy and interested in becoming a ballet dancer - go for it. You'll get in great shape, meet lots of physically fit girls (who you'll get to dance with) and face less competition (since not many guys take ballet lessons). Will you be made fun of by friends, family and other kids at school? Most definitely - but don't let that discourage you. You'll be the one laughing when you're surrounded by girls wearing leotards and short dresses. Fave Kind Of Dancing? Vote!